Team We are Tuggettes is Prepared for Takeoff! 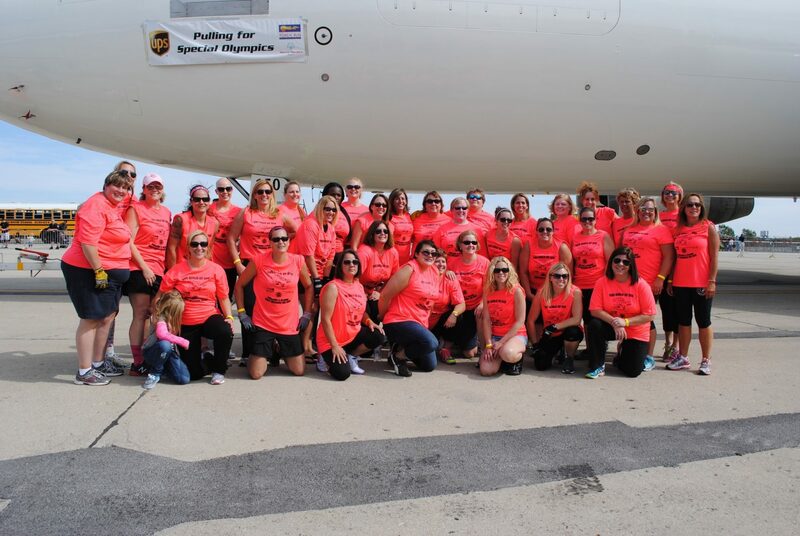 This is the fourth year participating in Plane Pull for an all women’s team comprised members of firefighters and paramedics of the Chicago Fire Department. This unified team, also known as “The Tuggettes,” originally heard about the event from a police officer who is involved with the Law Enforcement Torch Run. We have had a few teammates as well as other co-workers with children with intellectual disabilities. The women feel amazing to have an all-female team that can compete and can pull the plane faster than some of the men’s teams. The Plane Pull is the ultimate tug-of-war competition as teams compete to pull an aircraft 12 feet as quickly as possible. In 2017, Special Olympics Illinois and the Illinois Law Enforcement Torch Run will partner to host Plane Pull events at two locations. The 2017 O’Hare Plane Pull will take place on Saturday, September 16 at the United Airlines Cargo facility in Chicago.